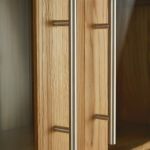 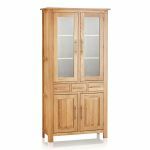 The Rivermead Natural Solid Oak Glazed Dresser is a truly striking piece of contemporary oak furniture. 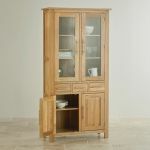 Storage is spread across upper glazed cupboards, three drawers and lower oak panelled cupboards. 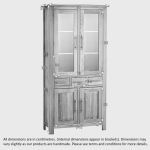 Behind the glazed cupboard doors are three sturdy shelves for all your display items. 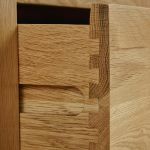 The three drawers are handcrafted with dovetail joints and solid oak backs and bottoms and all drawers and cupboards are finished with sleek contemporary silver bar handles. 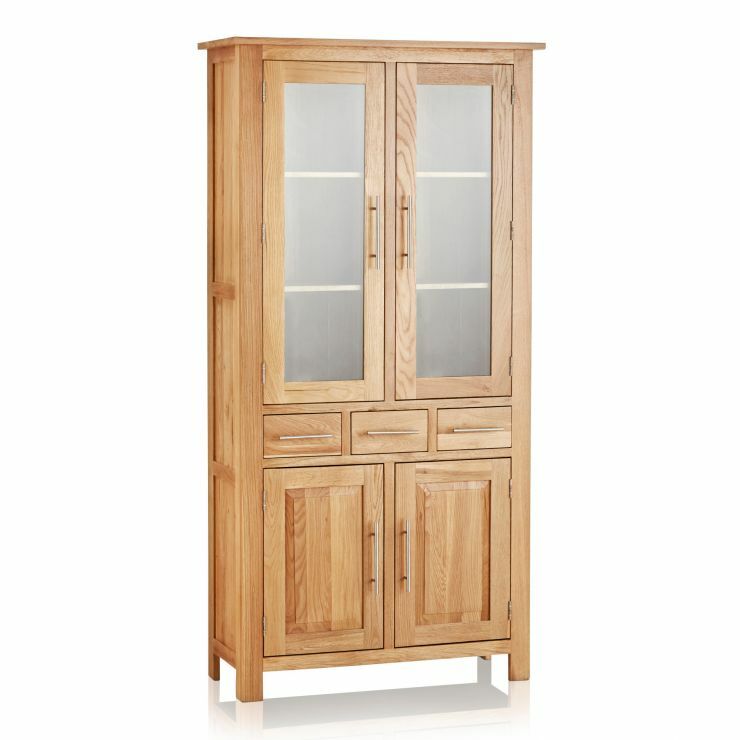 The Rivermead contemporary design features include simple panelling and a slender overlapping top to the dresser. 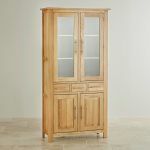 Whether as a display unit in a large hallway or as crockery storage in the kitchen of dining room, this resplendent cabinet promises to be eye-catching, whatever its setting.